SPES was in attendance on July 9 at the annual Whey-Ah-Wichen Canoe Festival at Cates Park in North Vancouver. 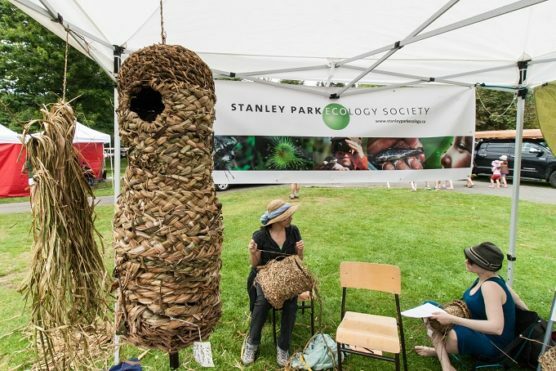 The event, hosted by the The Tsleil Waututh nation, featured traditional war canoe races – with the largest hand carved canoe seating 11 paddlers – and native arts and crafts displays. 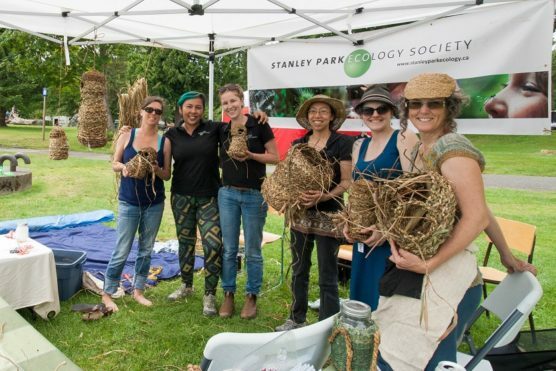 To complement the native weavers’ work and provide some alternatives to traditional weaving materials, SPES was on hand with environmental artist Sharon Kallis to “upcycle” invasive plant species like Himalayan blackberry into beautiful baskets and hats. 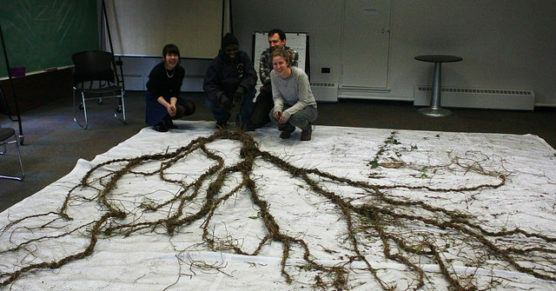 To represent the root system of a cedar tree in the Park, they twisted together an ivy sculpture. Laid at the base of the tree, the sculpture alerts trail users to the delicate roots below and dissuades them from stepping on the soil and compacting it. Compaction can lead to surface water runoff and erosion, and root damage. Other upcycling activities in this project produced wattle fencing from Himalayan blackberry canes to fence off delicate rehabilitated habitat in Stanley Park, and “bionets” of woven ivy for erosion control on degraded Park banks. 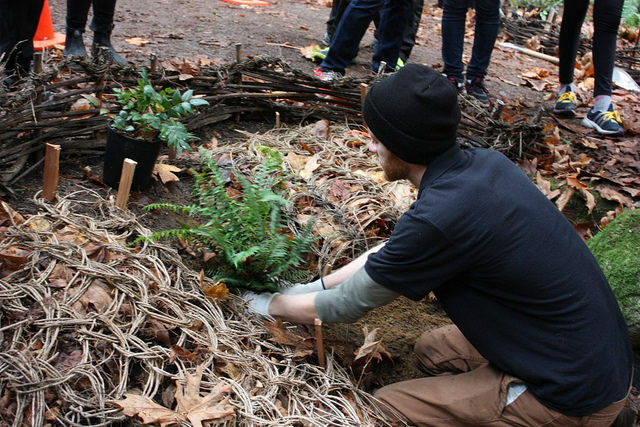 Thanks to Environment Canada’s EcoAction program, TD Friends of the Environment Foundation and Patagonia for funding this unique conservation project.